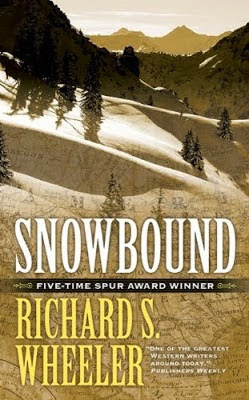 Richard S. Wheeler won a Spur Award for Best Western Short Novel for his 2010 novel Snowbound, and it was a well-earned, and deserving honor.Snowbound is less Western and more historical. It chronicles John C. Fremont’s ill-fated fourth expedition, which was ostensibly to find a railroad route across the Rocky Mountains at the 38th Parallel between St. Louis and San Francisco. Just finished reading this excellent novel. Uniquely presented. As a side comment, it could have been called "Nightmare West."